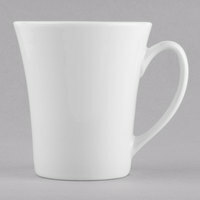 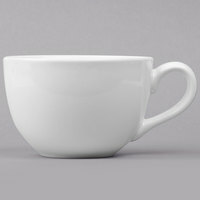 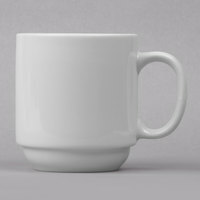 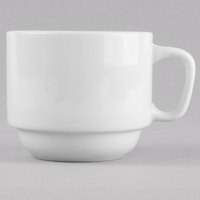 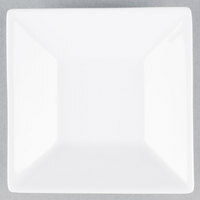 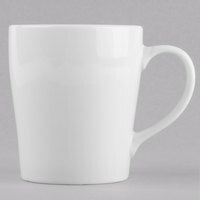 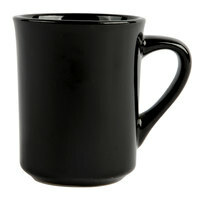 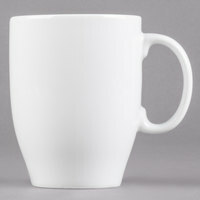 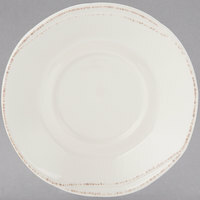 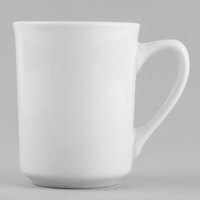 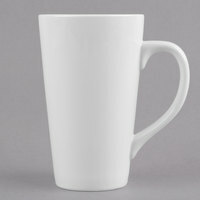 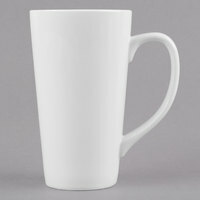 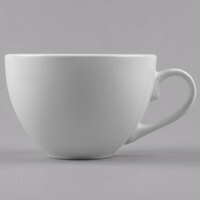 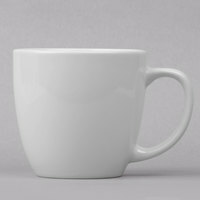 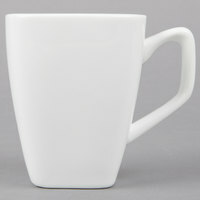 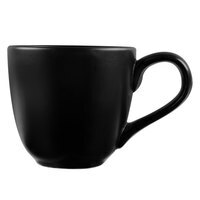 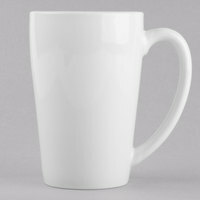 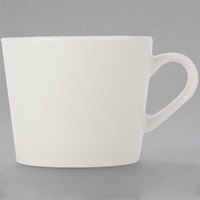 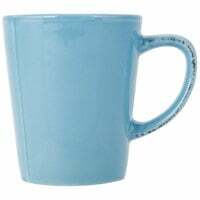 Porcelain mugs are perfect for beverage service in your catering business, diner, upscale restaurant, or hotel. 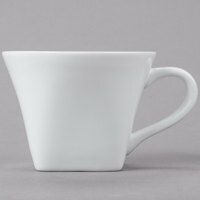 Use these cappuccino cups to serve customers afternoon tea or after-dinner coffee in an upscale, elegant way. 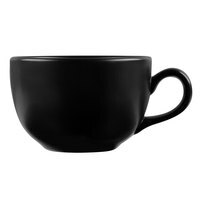 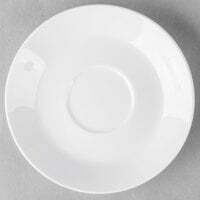 You’ll also find compatible saucers to place underneath mugs to prevent liquid from dripping onto tablecloths, or you can use them to serve scones, muffins, and other confections on the side. 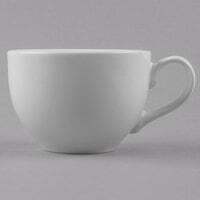 Our selection of cappuccino cups includes options of different colors to complement your vibrant, neutral, or sophisticated decor. 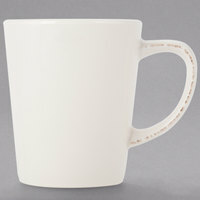 You can also choose from porcelain mugs of various capacities to serve tea, coffee, cocoa, or specialty hot drinks. 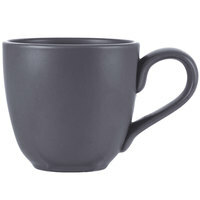 Select cups even come with unique features like spoon rests, while other options are stackable for space-efficient storage. 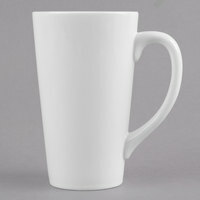 98 1 - 3.75 Oz. 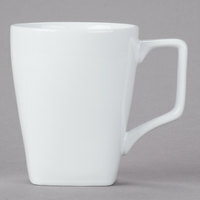 174 4 - 7.8 Oz. 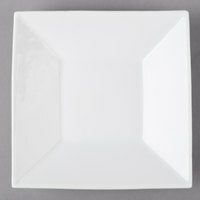 280 8 - 11.5 Oz. 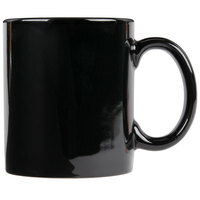 98 11.625 - 18 Oz.